The Iranian Oral History Project (IOHP) was launched in fall 1981 at Harvard’s Center for Middle Eastern Studies. In the Autumn of 1980, the director of the project Habib Ladejvardi was encouraged by Edward Keenan, the dean of the Graduate School of Arts and Sciences, to document Iranian oral history. Keenan as an historian believed that the immigration of many of Iran’s former leaders to western countries after revolution presented a great opportunity to gather valuable historical data through collecting the personal accounts of those individuals who played an important role in political events or decision making. 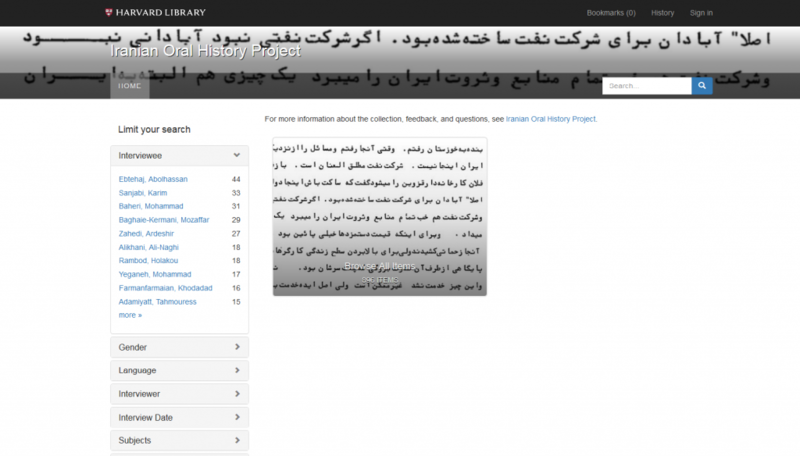 The focus of the project is to collect information about the political history of Iran between the 1920s and 1970s. Various restrictions on information after the revolution makes this project even more valuable. 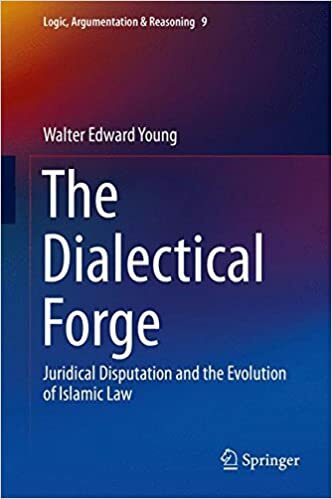 A better picture of the way the Iranian political system actually functioned from the point of view of the actors involved – for example, how decisions regarding foreign and domestic issues were reached and implemented. Circumstances behind major political events and decisions. Additional details regarding the background, character, and career of key political figures of the period. The IOHP’s goal is to gather first hand accounts of these major historic moments, events and decisions. Therefore, a wide range of leaders from different political parties, groups, and institutions, including foreigners who were involved or somehow had an impact in Iran’s political events at the time were interviewed. Interviews were conducted in Paris, Washington D.C., Cambridge, Austria, Switzerland and some other cities around the world. In addition, some politicians who still had an official role in Iran at the time, participated in the interviews while travelling to other countries. 896 items are available in this collection that can be browsed and searched by subject, interviewee, language, ….furthermore a comprehensive background on the project and detailed methodology used on gathering the information and interviews structure is accessible from here. Dr. Khalid Medani of the IIS in the news! Hi friends! Dr. Khalid Medani of the Institute of Islamic Studies and Politic Science was recently interviewed about the events unfolding in the South Sudan. Click here to hear his thoughts. 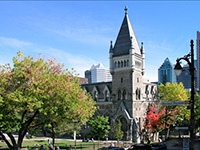 The Institute of Islamic Studies at McGill University is currently seeking a Professor of Ottoman and Turkish Studies. The posting is here. The Islamic Studies Library maintains a strong collection of Turkish materials and Ottoman sources. We are currently focused on developing the Republican period, i.e. 1923 to the present. The ISL’s current collection development policy is here.